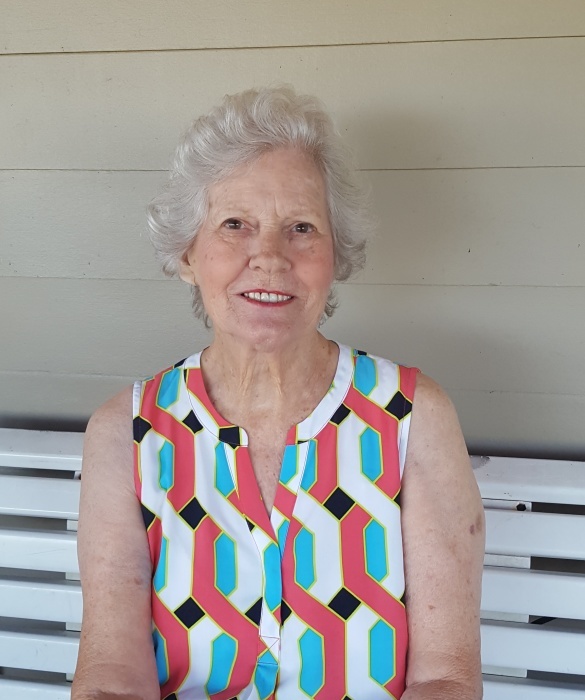 Patricia June Jarrell Bragan passed peacefully from this life surrounded by love in her home on the morning of Tuesday, February 5, 2019 in Bonifay, Florida. She was the only child of Henry Robert (Pete) Jarrell and Jennie Beckworth. She entered their lives on May 16, 1937 in Jesup, Georgia. She was a young bride who married her one and only, Billy Lamar Bragan, Senior, in Aiken County, South Carolina on June 25, 1953. She and her husband were blessed with five children during their lives. Patricia was a beautiful woman both inside and out. She had a captivating laugh and she never met a stranger. She had a fierce love for her entire family and truly was the heart and matriarch. She always met the trials and challenges placed before her with grace and a steadfast faith in God’s plan for her and her loved ones. She is preceded in death by her beloved husband, Billy Lamar Bragan Senior (2008). Also, three children; Timothy Michael Bragan (1962), Thomas Patrick Bragan (1964), and Robert Frank Bragan (2012), a daughter-in-law Donna Bragan (2009), and one grandchild Sheri Elizabeth Lewis Mayer (2015). She is survived by her daughter Betty June (David Lewis) of Bonifay, Florida, her son Billy Lamar Bragan, Junior of Baxley, Georgia. Also, grandchildren Danielle Howard, Cincinnati, Ohio, Michael Howard (Emily), Newport, Kentucky, Billy Lamar Bragan III of Baxley, Georgia, Shawn Patrick Bragan (Elizabeth) of Moore, Oklahoma, Robert Lee Bragan of Norman, Oklahoma, Penny Ann Karin Young of Pace, Florida, Patricia Nicole Lewis of Gainesville, Florida, and Robert Frank Bragan, Junior of Baxley, Georgia. She was also blessed to see her family grow to include eleven great grandchildren and eight great-great grandchildren. Funeral services will be held at 11 A.M. Saturday, February 9, 2019 at the Ward Wilson Funeral Home Chapel. The family will receive friends at the funeral home from 10 to 11 A.M. Saturday, one hour prior to the service. She will be laid to rest next to her sweetheart at Memory Hill Cemetery in Dothan, Alabama on Saturday, February 9, 2019.